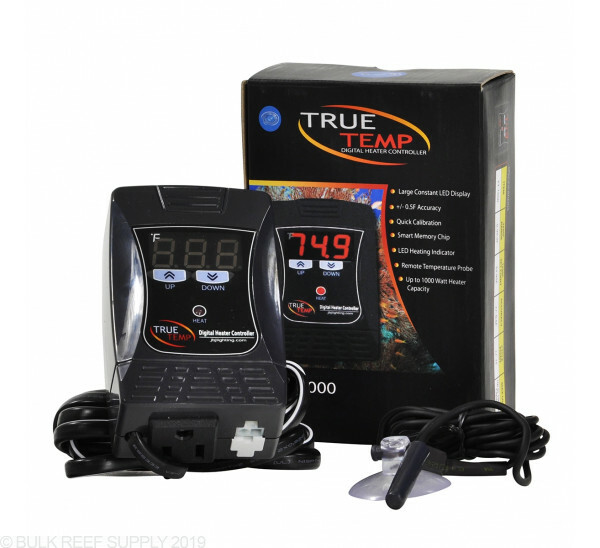 Maintain the proper temperature for your tank inhabitants with JBJ TRUE TEMP Digital Heater Controller. Large LED display of the current temperature. The majority of fish cannot cope with stress from constant temperature fluctuations. 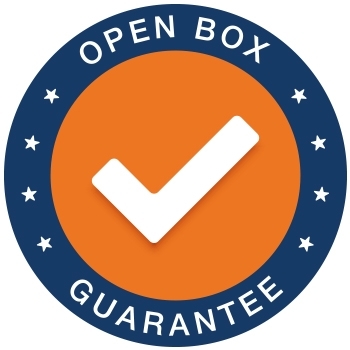 This can lead to a compromised immune system and the probability of avoidable diseases, parasites, and bacterial infections. Large LED Display with accurate digital controllers. Easy push buttons make setting your desired temperature simple and easy. Plug any heater up to 1000 W maximum load into the controller. 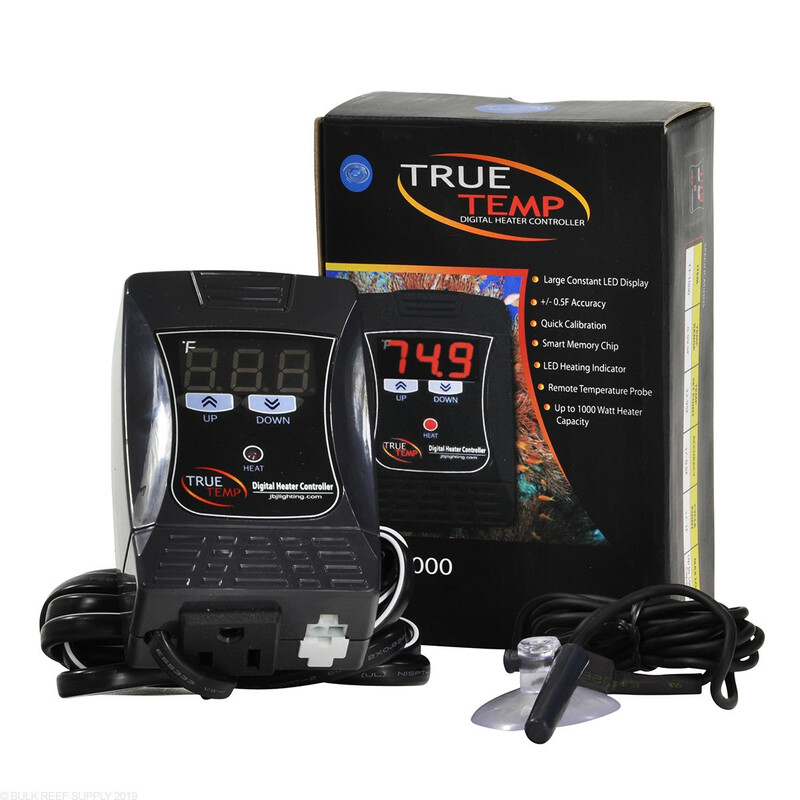 Cross reference temperature abilities ensures the temperature is accurate and always correct. Smart Memory Chip will reset the previous temperature set point and calibration once power is restored. Avoid false temperature readings with a Remote Temperature Probe. Remote quick disconnect temperature probe can be placed up to 5 Ft away from the heating element for a more accurate temperature reading.